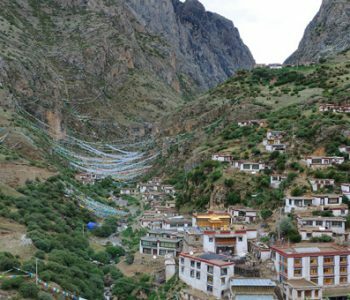 Tidrum Hot Spring attraction(4,590m) is located in Tidrum Village, Lhasa, Tibet. 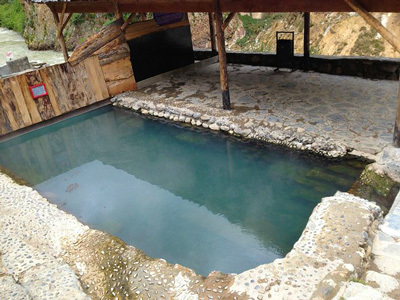 This hot spring already has 1,400 years’ history. It is said that there are many health elements for human body, such as sulphur, gypsum rubrum, stone pitch and coal, etc. Local people and travelers usually bathe here in their swimsuit or birthday suit. 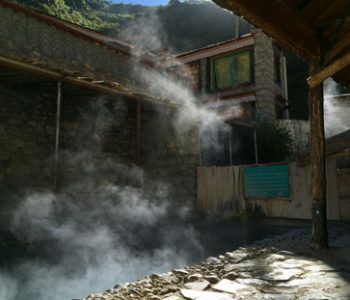 People believe that taking a bath at Tidrum Hot Spring attraction can heal many their sickness, for example, gastric ulcer, rheumatoid and edema, etc. 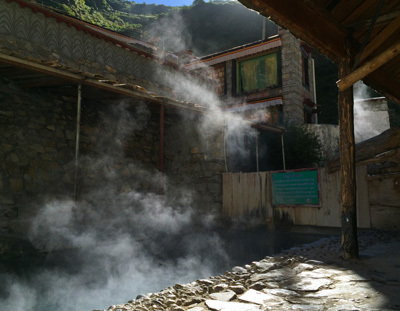 The spring water is very hot, which often makes foreign travelers feel dizzy when taking a hot bath at such high altitude area. 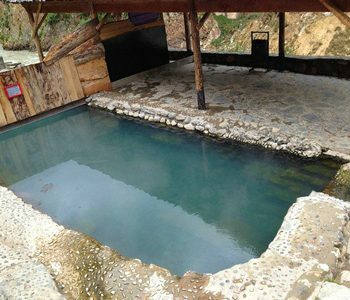 It is best to take a dip for several minutes, get out the spring water, rest and then bath again in order to get accustomed. There are now three pools with magical stone surrounded by wooden fence. One pool is for men, another for women, and the last one is mixed for both men and women. The mixed pool has extra hot water and lies across a small footbridge. You can have a comfortable feet massage when stepping into a pool with hot stones under your feet. 1.Do not bath in hot spring water one hour before or after meal. 2. Do not soak for a long time and do not do active exercises. 3. 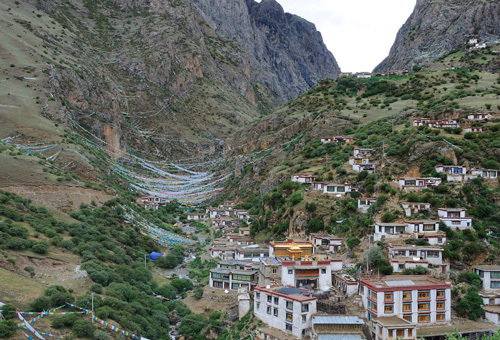 You can pay a visit to the Tidrum Nunnery nearby.